Once again, I underestimated the effort even at the 90% level, although not as badly as last time. 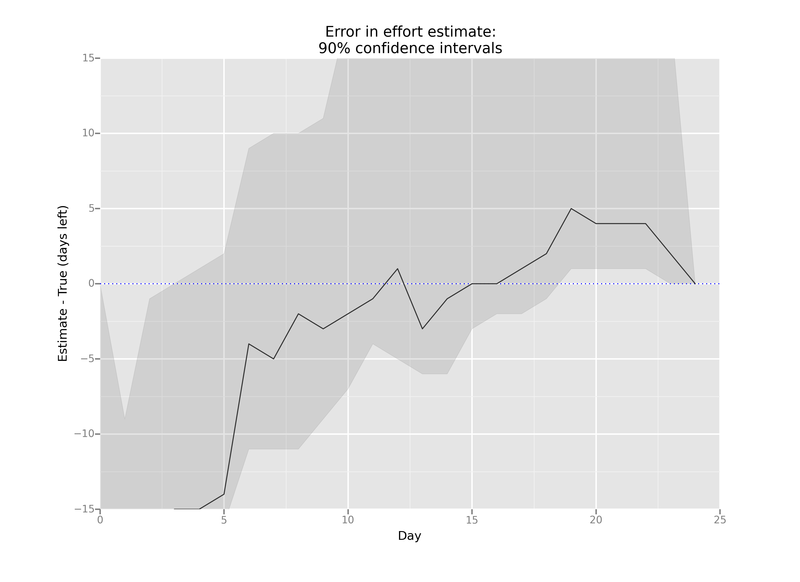 Here’s a plot of the error. 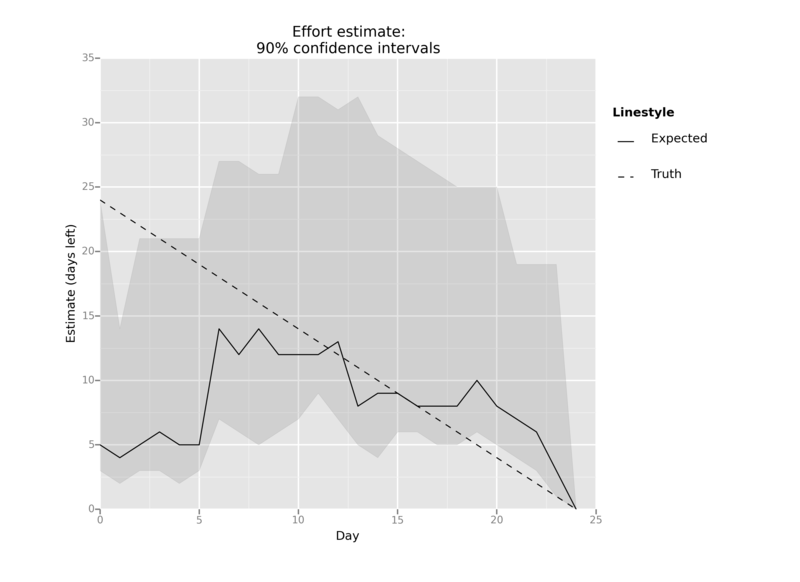 I also find it takes real mental energy to do these daily effort estimates. and a sack of grain. He has a boat that fits one object besides himself. farmer, the fox will eat the chicken, and the chicken will eat the grain. How can the farmer get all three possessions across the river safely? To solve this, I used TLA+, a specification language developed by Leslie Lamport. 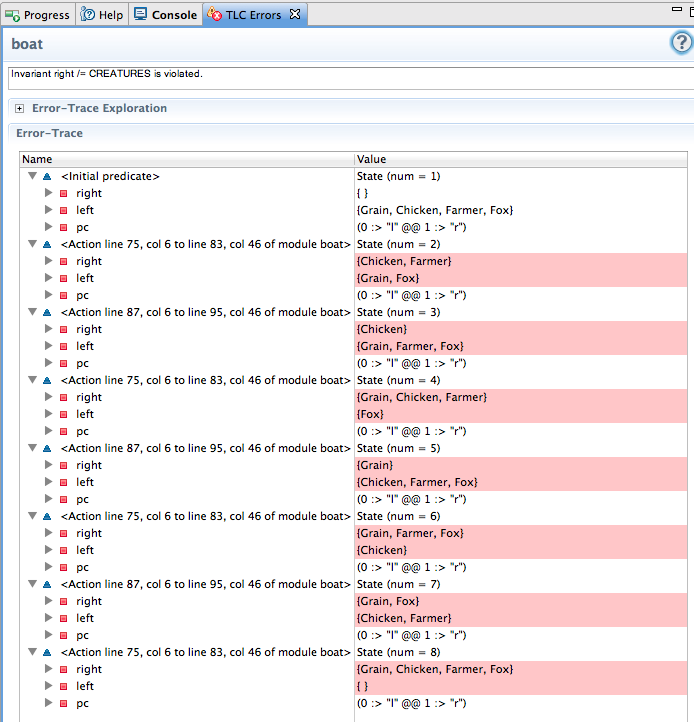 It also uses PlusCal, which is an algorithm language that can be automated translated into TLA+ using the TLA toolbox. Here’s my solution, which includes PlusCal but doesn’t show the automatically translated parts of the model. To solve the problem with the TLA toolbox, you’ll need to specify an invariant that will be violated when the puzzle is solved. I used right /= CREATURES. (You’ll first need to translate the PlusCal into TLA+, and you’ll need to specify the value of the constants. I just chose “Model value” for each of them). You can see the full model with the automatic PlusCal translation in one of my Github repos.